Ranging from Alicante in the south, up the coastline to Oliva and Denia in the north, we’ll recommend a range of hand-picked courses to help you experience the very best that the Costa Blanca has to offer. From leading hotels in the vibrant tourist resorts of the region to self-catering apartments and hotels off the beaten track, we can help. If you prefer the best of both, we’ll find you a quiet spot just a short distance from the hustle and bustle of Benidorm or Alicante. 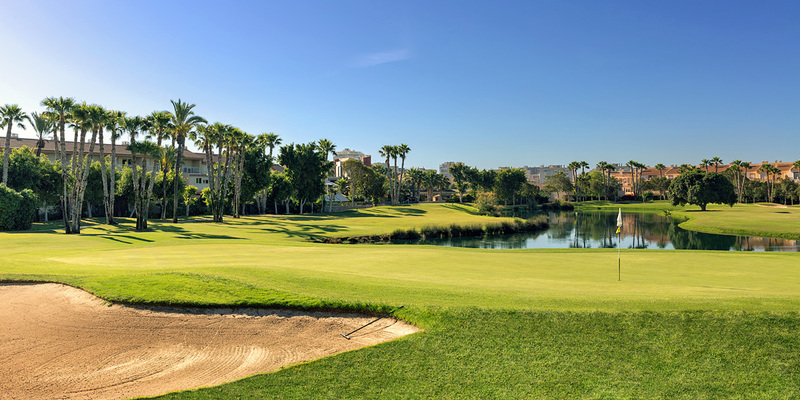 Only 15 minutes from Alicante airport, the par 72 parkland course at Alicante golf resort was designed by Spanish legend Seve Ballesteros. Set on relatively level terrain, it features 5 lakes which feature on 12 or its 18 holes. This is is an ideal course for players of all levels. 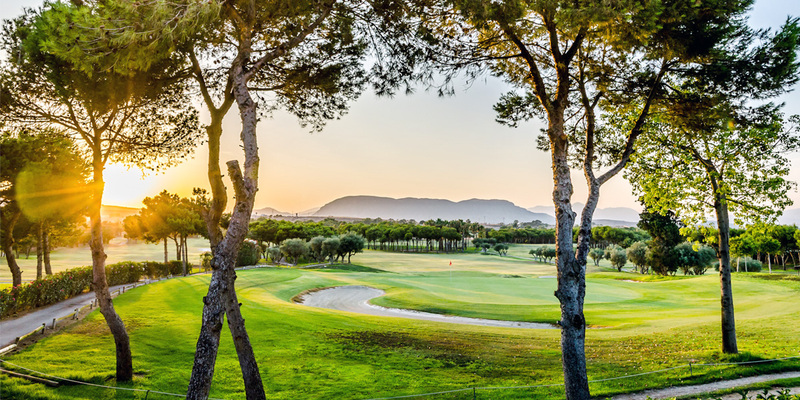 El Plantio’s par 72 parkland course is set against a stunning mountainous backdrop and is located only 12km from Alicante airport. With over 45,000 trees planted during its construction, it’s mature green setting provides an experience not to be missed by players of all abilities. 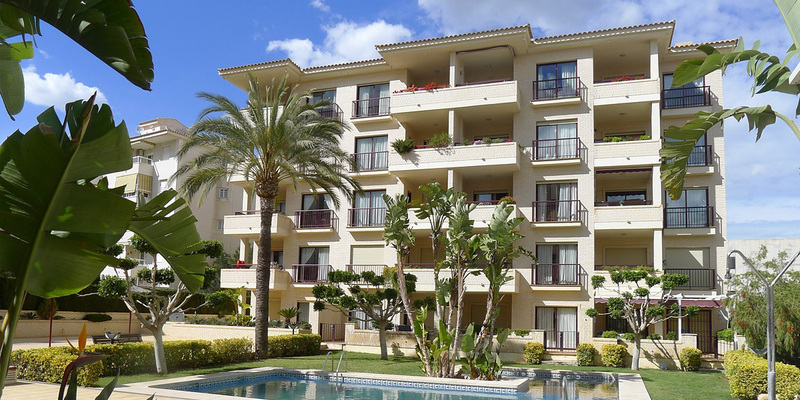 Sleeping up to 4 guests per apartment, the Albir Confort Avenida Apartments were completed in 2003. Situated only 400 metres from Albir Beach, the complex features an outdoor pool with terraces and gardens. Sleeping up to 4 guests, each apartment has a balcony and hydromassage bath. They feature simple, stylish décor and include a lounge with a sofa bed, satellite TV and DVD player. 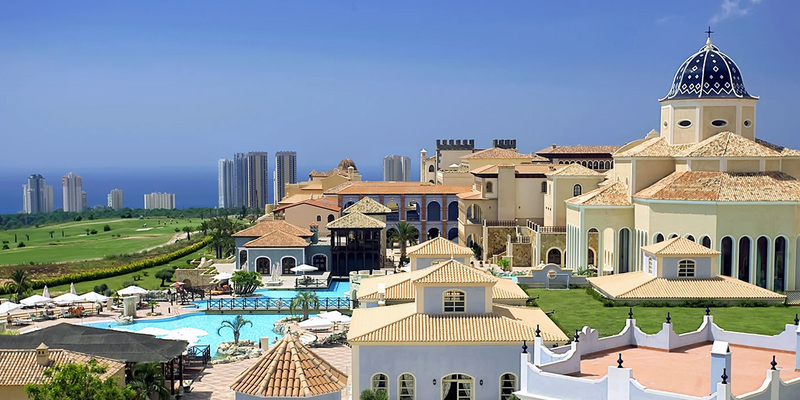 Situated only 20 minutes from Alicante, Meliá Villaitana is located between two golf courses designed by Nicklaus Design and boasts fantastic views of the Gran Bahía. Guest rooms are decorated with an elegant Mediterranean design, featuring spectacular views of the sea, golf course, garden and pools, including the spectacular lagoon-pool and artificial beach with palm trees and stunning gardens.